We went cycling with Max – an art historian who knows everything about Amsterdam’s architecture. We learned about the band of ‘rogue’ architects behind the ‘Amsterdam School’, the famous architectural style of the 1900s for Amsterdams social housing projects — which still bring in millions of tourists to Amsterdam each year. Do check it out! So nice – I got a mentioning in the Irish Times today. Together with my friend Paddy Cahill. 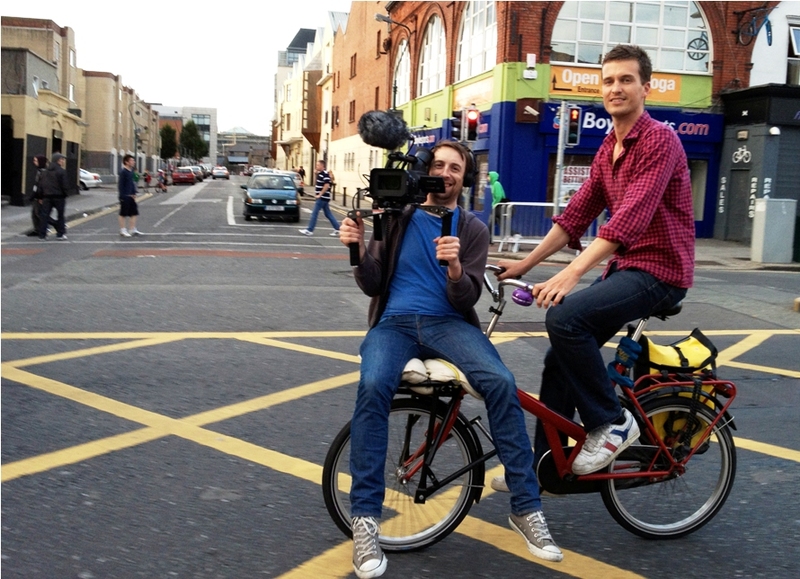 With all the work that goes into shooting our cycling films, I haven’t found time to keep this blog updated, though. If you like our cycling advocacy work, please go to http://www.CyclingWith.com and subscribe to our newsletter there. We (that is: the Cycling With team, being – Paddy Cahill and myself) went for a cycle through Amsterdam with its former mayor: Job Cohen. … a new cycling interview by the cyclingwith.com team (ie: Paddy Cahill and myself)! Go check it out. You’ll love it. Paddy Cahill and myself went for a cycle with Ellen Rowley. Ellen is an Architectural Historian who lives with her family in Ballybough, Dublin. During our cycle, we talked to Ellen’s daughter Lillo, we looked at the architectural heritage in the north of Dublin (a beautiful part that often goes ignored), the architecture of the 20th Century and her special interest the social housing schemes by the former city architect Herbert Simms. Ellen recently compiled a book of essays on Irish Architecture “i.e. Patterns of Thought”. 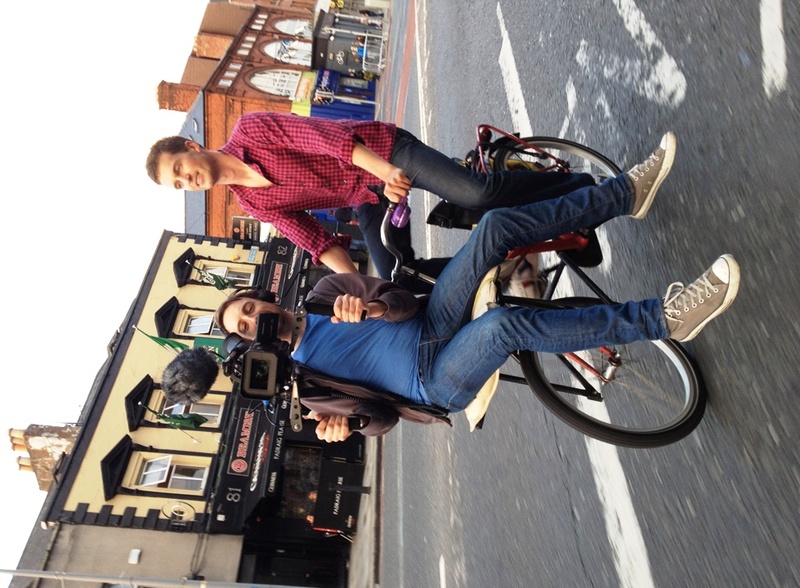 Last weekend, Paddy Cahill and myself were in Dublin, shooting more ‘Cycling With…’ documentaries. Here’s a look behind the scenes. If you would like to see the result, please ‘like’ our ‘Cycling With…’ Fanpage. Jim Latimer is a promising musician at the beginning of his career. He has recently moved back to Dublin from London and is enjoying a fresh look at living in the city and all it has to offer.